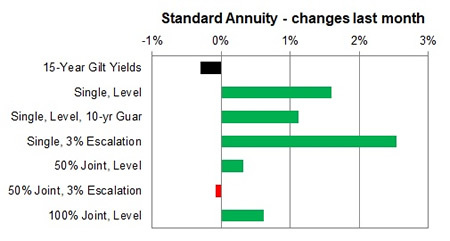 Pension annuities have recovered from three months of declining rates during a volatile month with 15-year gilt yields rising as high as 1.60% before returning to near the level at the start of the month. The 15-year gilt yields decreased by only 3 basis points to 1.43% during the month. 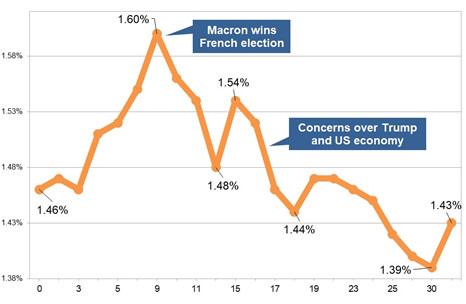 The yields were as high as 1.60% after Macron won the French election but soon headed south with concerns over Donald Trump's dismissal of FBI Director James Comey followed by mixed economic data on US housing and industrial output. Over the short term yields are -3 basis points with standard providers increasing rates by an average of 1.25% and we would expect rates may decrease further by -1.55% in the short term. For smoker and enhanced annuity providers increased their rates by an average of 0.39% on average and rates may decrease by -0.69% in the short term. 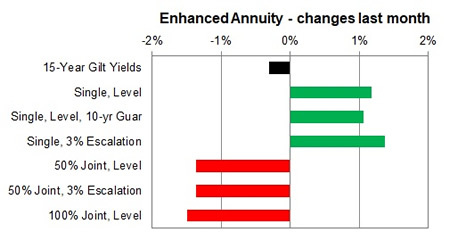 For the month of May 71% of annuity rates increased by up to 5.0% with 0% remaining unchanged and 29% decreasing. Standard annuities increased by an average of 1.25% during the month. 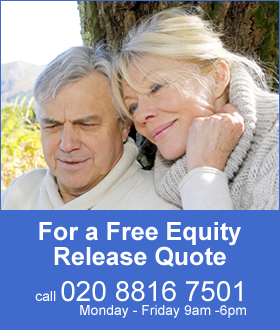 For those aged 70 buying a single life, 3% escalation increased by 4.26% and for age 65 on a single life, level with or without 10 year guaranteed period are higher by up to 3.21%. For enhanced and smoker providers rates were mixed with those aged 55 on a single life, level basis up 3.12% and single life, 3% escalation higher by 4.28%. There were a number of decreases for joint life aged 55, 70 and 75 lower by as much as -2.43%.